2. To depict it only by using the numerical value that appears in a calculation process. 3. However, to not represent a calculation object as an object itself. In a numerical formula of “1+1”, a calculator is not concerned with whether or not it depicts counting apples (or human beings). For instance, a physical engine simulates Newtonian mechanics, such as “mass”, “force”, “velocity” and a “position”. These things, however, are in principle simply limited quantities so that a computer doesn’t think about what the calculation means. The world which human beings regard without suspicion is not the world itself. Is it possible for human beings to deal with the principles and the natural laws underlying the world which natural science has been aiming to solve? Norimichi Hirakawa was born in Japan. 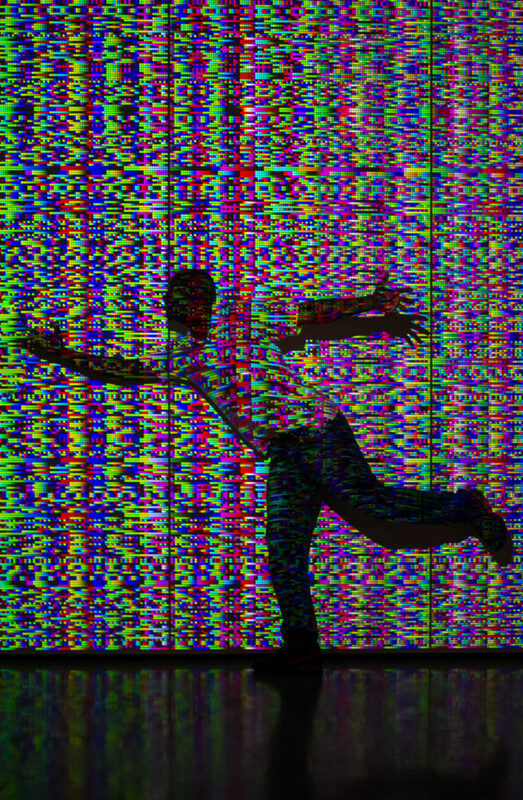 His works, which focus on real-time processed, computer programmed audio visual installations, have been shown at national and international art exhibitions as well as Media Art Festivals. He has received many awards including the Excellence Prize at the Japan Media Arts Festival in 2004, and the Award of Distinction in Interactive Art Division at Prix Ars Electronica in 2008. Having been involved in a wide range of activities, he has been working as a technician for artists such as Ryoji Ikeda, Seiko Mikami and Yoshihide Otomo, and he performs as Typingmonkeys with Kumiko Noguchi. He is an artistic director in the ARTSAT project (Art and Satellite Project).